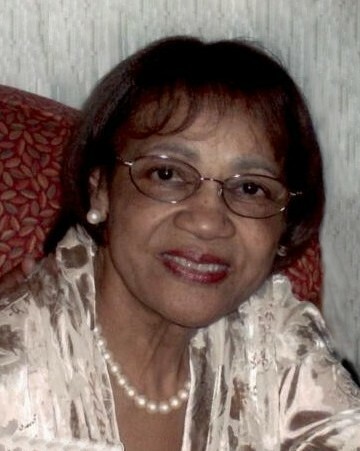 Ruby Bernice Smith, 83, passed away in Manteca, California on April 7, 2019. She was born the youngest of twelve siblings on June 12, 1935 in Longview, Texas. Ruby is preceded in death by her siblings, parents Elijah and Lila “Lillie Bell” Morris and her husband, Burgess Smith. She is survived by her three children: Jacqueline Hill Woods (Robby), Deleon Hill and Bernard Hill (Delphine). She adored her 7 grandchildren, Chanai Catarich, Tamara Drain, Briana Hill, Jerone Hill, Tiffany Grissum, Demetrius Hill and Joseph Hill and her 14 great-grandchildren. Ruby moved from Texas to San Francisco in her early 20’s when she married her first husband, James Hill. She worked as a receptionist for 10 years at Varion and Associates, but spent the better part of her life as a homemaker tending to her children. Ruby was introduced to the Jehovah Witness faith in Menlo Park where she was baptized in April of 1975; she attended the Kingdom Hall in Menlo Park for many years. She also attended the Oakland Kingdom Hall for several years, and later she was a member of the Manteca Kingdom Hall. Ruby loved to travel, enjoyed gardening where she had an amazing green thumb and absolutely loved spending quality time with her family. She will be remembered for her kind heart and generous, compassionate spirit. She will be deeply missed by all who knew and loved her.